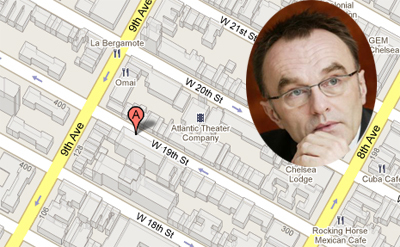 “Slumdog Millionaire” director Danny Boyle closed this week on a $1.7 million, tri-level penthouse in Chelsea for his daughter, Caitlin, a freshman at Parsons the New School for Design, said Danny Messing, senior vice president of the Excalibur Group’s new residential sales division. Boyle has said in past interviews that Caitlin, the youngest of his three daughters, recommended he cast ‘Slumdog’ lead Dev Patel, who won numerous awards for the role. Caitlin’s newly renovated co-op, complete with a rooftop solarium and terrace, is perched atop a 19th-century Townhouse On West 19th Street between Eight and Ninth avenues. Messing declined to reveal the exact address, saying he was concerned for Caitlin’s privacy given that the building has only a few units. Brown Harris Stevens broker Robin Lyon-Gardiner and Erin Aries listed the two-bedroom, three-bathroom penthouse for $2.05 million in April 2009, then dropped the price to $1.895 million two months later. “[Boyle] felt that since he was paying all cash, he should at least get a 10 percent discount,” said Messing, adding that this would be the British filmmaker’s first purchase in the city. Boyle is currently in London, Messing said. Excalibur was founded three years ago by Andrew Fein and David Shenfeld as a boutique commercial brokerage; Messing was hired four months ago to spearhead the residential sales division.